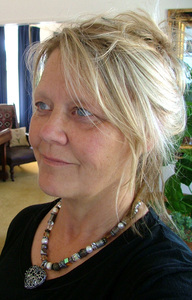 Dezignscene NZ Director and Designer Lynda Lee has a strong desire to work with smaller businesses, having setup and operated various smaller businesses since 1987. The success of Dezignscene Ltd has been the bringing together of key elements that make up successful websites. These includes the visual design, functionality and search engine optimisation. You can have the best website but without various forms of search engine optimisation (SEO marketing) attached to your website, customers won't find you on the web. Without a great design or brand they won't stay long enough viewing your website to make a purchase, or contact you for your services, and without website user friendly functionality a sale or enquiry will never be completed. Our point of difference? Awesome Websites + Free SEO. Your success is ours! When we were releasing our new product Nano4Life, our first choice in web design was Dezignscene. We've been so impressed with Lynda's level of intense commitment, dedication, speed, great guidance and accuracy that we had to have her do this one. This is our 3rd website with Dezignscene now and it just gets better and easier each time. Thanks lynda! Lynda started her working career in the ANZ Bank in Hawkes Bay NZ, travelled and worked in Europe and once her children were at school created NZ's first farm based rural employment agency. Within three years Central Employment had grown to 3 branches at which point Lynda sold the business and along with her husband and children moved to Cambridge where she sold real estate for a number of years. Lynda fulfilled a dream and created her first retail store in the early 90's, then went on to import Dutch Colonial furniture from Indonesia and retailed this from her designer store VIRTUS in Cambridge New Zealand. Early 2000 while living in Europe Lynda discovered her love of computers. Combined with her passion for architecture, design and marketing, she attended Farnham Art & Design University in the South of England, where quickly her intuitive skills for presentation shone through, and Dezign Scene magazine was created to present her course assignments. Lynda returned to the Waikato in 2005 from the UK, registered Dezignscene Limited, and works from home designing and building websites for clients throughout New Zealand whilst also operating her rural based B&B, which Lynda has since sold in December 2014 after spending 6 years enjoying sharing her home with travellers from around the World..
Not being computer savvy myself, Lynda took control and set up my lovely website which was stress free, and I am underway with my luxury Bed and Breakfast and doing great. Thanks heaps Lynda for your understanding, helpful ideas and great website. Very much appreciated.